Freesat has announced details of a long-awaited movies on demand service for its Freetime service. 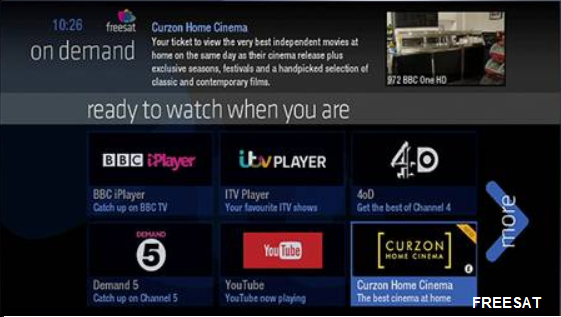 From today, viewers with a Freesat Freetime box will be able to select a new on demand player from Curzon Home Cinema. The new player gives Freetime viewers the opportunity to watch the latest cinema releases on demand in the comfort of their own living room. However, unlike many other movie services, viewers only pay for the films they watch and are not charged an ongoing monthly subscription fee. Many films can be streamed for as little as £1. Curzon Home Cinema offers the very best in independent film. The player will be rolled out on Panasonic Freetime TVs soon. A movies on demand service has been expected ever since Freetime was launched by Freesat in 2012.